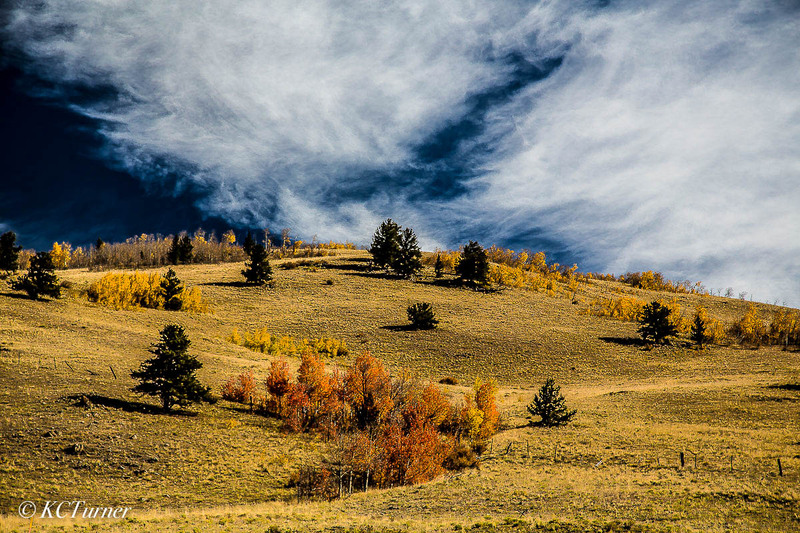 Southwest of Denver, Colorado on US 285 you'll reach Kenosha Pass at 10,001 feet above sea level where I captured this fall landscape photograph with its broad upward sweeping clouds and horizon line. Photo © copyright by K.C. Turner.